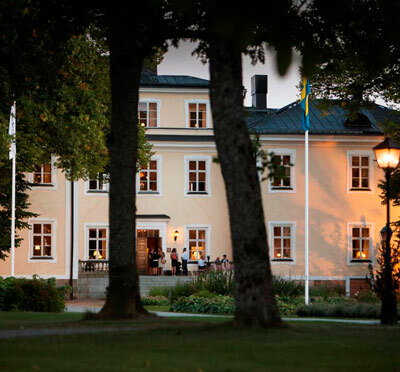 As a pearl in the Stockholm archipelago, only 25 minutes from Slussen, is homey Säby Säteri. Here we promise working hours in a beautiful and inspiring environment. No meeting room is the like the other, it has everything from the state-of-the-art venue to the cozy Kullahuset and Torpet with fireplaces. In Säby Säteri's kitchen we use reproduced products from Smakriket Säby's well-known actors Värmdö Musteri, Värmdö Bränneri, Värmdö Brewery and Säby Gård Rapspresseri. Do you want to surprise yourself with a unique activity? Säby, as the only venue in the country, can offer apple mash, brewery, alcohol-based liquorice, rapeseed oil and crayfish on its own. We promise a memorable experience and a successful meeting. Have you been to Säby Säteri and want to give your own comments?